On April 23, the Clearfield Moose Lodge No. 97, the Clearfield Women of the Moose No. 948, the Clearfield No. 97 Moose Riders, volunteers and community donors held a benefit for Moshannon Valley Relay for Life with a Thirty-one basket bingo. The Relay for Life teams, which participated in the event, were True Value, Charge Life, Kiwanis, High Hopes, Happy Feet, Philipsburg-Osceola School District and Angel Among Us. 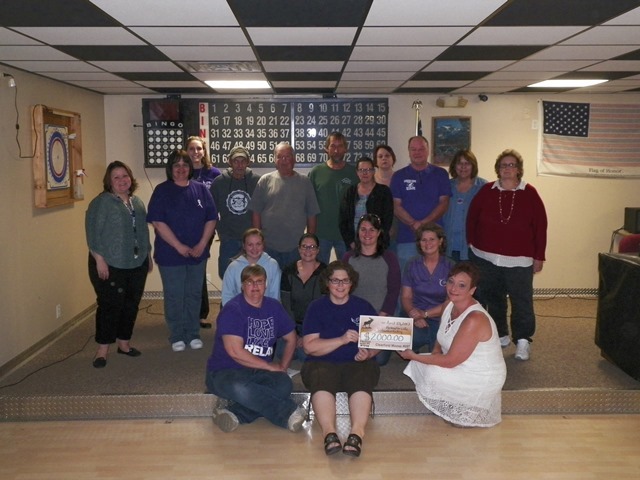 After the benefit event, the organizations presented a check to Moshannon Valley Relay for Life in the amount of $2,000.